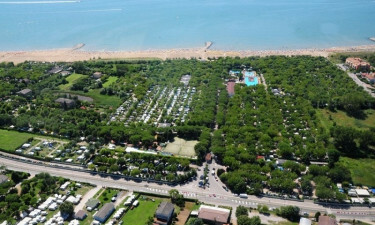 This amazing holiday camping site is located only a short distance from Venice and it offers countless fun activities for the entire family. Anyone who has been seeking unrivalled camping luxury should contact LUX-camp for further information. One of the most interesting aspects of this holiday camping site is that the privacy of its guests is extremely important. Part of this is naturally accomplished by the secluded nature of the on-site mobile homes and their associated pitches, however, there are also mandatory "quiet times" during the early afternoon and the late evening when all guests are required to refrain from making loud noises. Why Should I Select a Camping Holiday at Garden Paradiso? A choice of no less than 961 pitches. Spacious and modern mobile homes. 15 hectares of open-air beauty. Leisure activities suited for the whole family. Another feature of Garden Paradiso is its sheer size. Offering an impressive 150,000 square metres of space, there is no doubt that everyone will be able to find a tranquil corner for the ultimate relaxing moments. This location has the ability to host up to 3,700 guests at any one time; a testament to the amount of space available. Still, there are always opportunities to enjoy nearby locations such as lagoons, beaches and the scintillating canals of Venice. The staff at Garden Paradiso appreciate the needs of their guests should always be the top priority. Many modern conveniences are now included as standard features, with examples here including wireless access to Internet services, waste disposal facilities for mobile homes and on-site eateries. 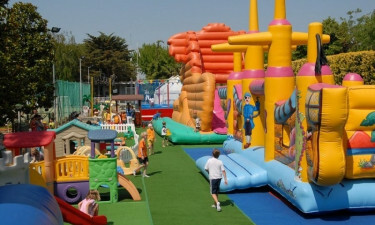 Activities include a large pool, table tennis and a miniature golf course. Other fun excursions such as thermal baths and saunas are located only a handful of kilometres away. 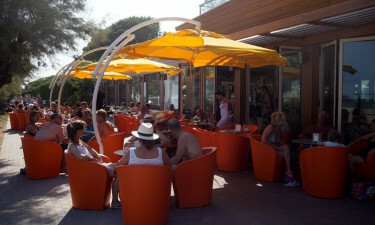 Garden Paradiso provides fantastic gastronomical experiences through self-service restaurants and snack shops. A buffet is offered every noon, with capacity enough to accommodate 400 visitors in comfort at once. An open-air bar that displays tranquil views of nature is another excellent way to sip on a cold cocktail while ice cream is also available. A takeaway service is another option for families that wish to enjoy their personal time together while on holiday. A luxury camping resort should always be able to address the demands of its guests. Garden Paradiso provides a supermarket and small retail centre within its confines. Here, guests can purchase fresh fruits and vegetables, with much of the produce coming from the local regions, such as Cavallino and Veneto. Anyone who enjoys fresh bread and Italian pastries will be happy to learn that there is also a bakery open throughout the year. Newspaper outlets, a tobacco store and a bazaar are some other shopping areas of interest. To learn more about Garden Paradiso, please take some time and speak with a representative of LUX-camp.